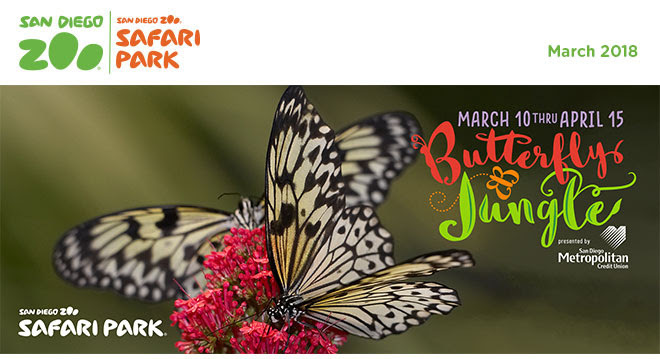 Spring brings a uniquely delightful experience to the San Diego Zoo Safari Park, as more than 10,000 dazzling butterflies flit, float, and flutter around you in our Hidden Jungle habitat. Guests wearing bright colors may find a butterfly perching on them, and there's plenty of fun for everyone. This popular event is one you won't want to miss. 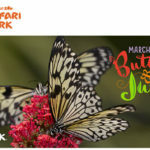 Visit sdzsafaripark.org/butterflyjungle for more details. 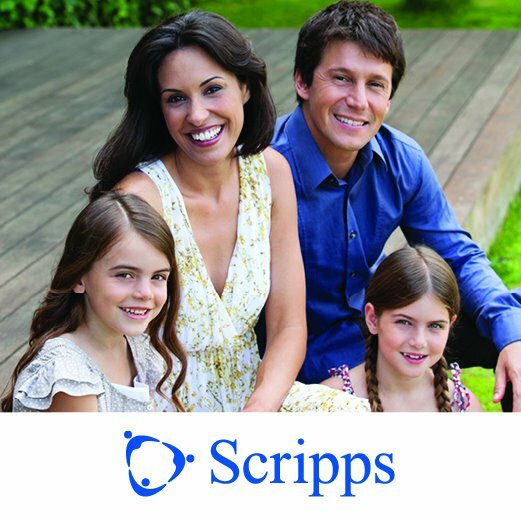 Parent Connection member can receive discount to both the San Diego Zoo and San Diego Safari Park by visiting our Member Discount section.